Have been using Lumia 525 for over 8 months now. Upgraded to W8.1 over wi-fi (takes about 45 mins at 1 gbps). Have had to reboot only twice during use so far...as opposed to multiple times in my earlier Android. Smooth interface, clean screen. Incoming audio not something to talk about (maybe because I dropped my phone twice). 1GB RAM makes surfing and apps a pleasant experience. On the whole, certainly better than Android. AnonD-23532, 31 May 2014Can maps be used without the internet? ON Lumia 525Yes. Download the maps in your phone.....takes up about 1GB. The nokia lumia 525 is a very smart phone as well as samsung galaxy phone but the Nokia built in quality is very good. these mobile a 1 gb ram is so fast and pretty phone in other mobile so fast.this mobile are battery life is good and comfortable than samsung mobile.Nokia lumia 525 are the internet surfing and downloading are the very fast than any other android mobile.Nokia coming a wp phone so as super cool smart phone.best of luck my nokia lumia user. I'm also using 525 smart phon, this one is very smrter, better and faster. User friendly. Always better than Sony, Samsung. I thank to nokia. Nokia 525 -- it's not good because no flash light,and no hindi language spot. It's not good because, no flash light and no Hindi language spot. 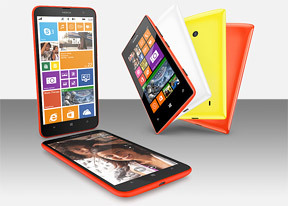 Right now am using Lumia 520, features of 525 is unbelievable and extremely high on such low price. If I would get a chance to exchange my 520 with 525 &#55357;&#56843;&#55357;&#56843;­ which will never happen,I would grab it !!! AnonD-214682, 11 Jan 2014Why don't you just stop advertising wp or bashing android. Be in your size kid.Why don't you stop advertising Android in Windows Phone articles and stop bashing Windows Phone? You got any personal problems? I hope MS will release WP9 soon, and remove JIT limitation, so I can play emulators with native speed. This Subsidiary of Microsoft (Nokia) will do well in 2014 and beyond. Before they will retire the Nokia brand in the medium term. Microsoft will call their phones 10 years from now as "The New Microsoft Nokia 5“. It is like "The New Apple Iphone 5".